Ron was raised in Charlottesville, VA. Ron is married to the greatest lady on earth (aka Dawna). He attended Nyack College, Asbury Seminary & Reformed Seminary. 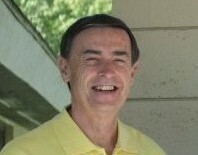 He is the Proud Papa of two sons and privileged to pastor Sarasota Alliance for last 31 years.